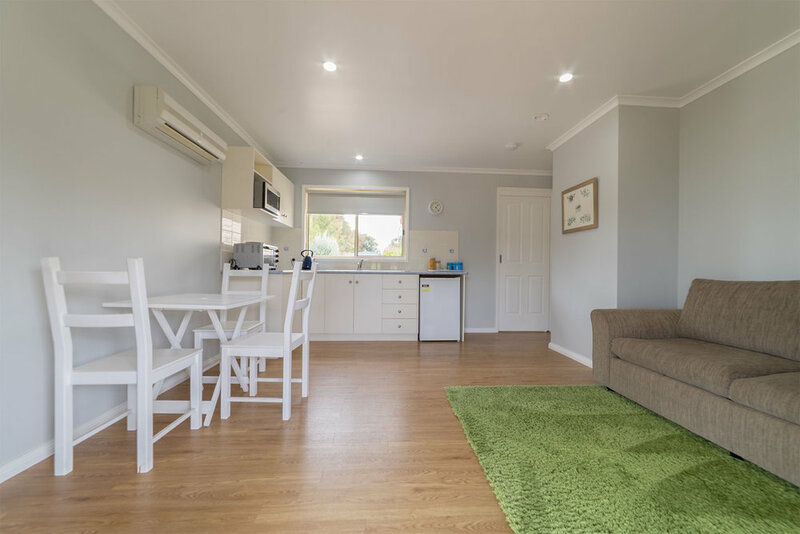 If you're looking for spacious self-contained accommodation with spectacular Murray River bushland views, we invite you to share our "little 'peace' of country" at Tokemata Retreat. 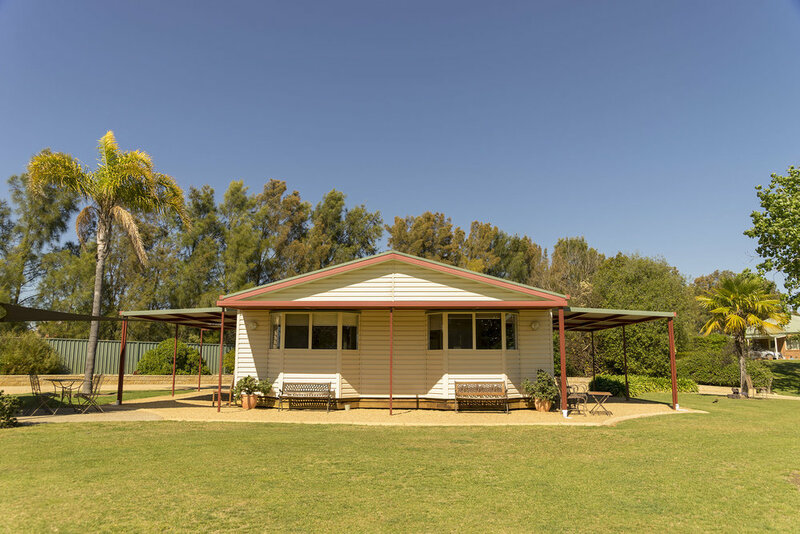 Tokemata Retreat is situated on a luscious, landscaped 50 acre property near Cobram on the Murray River. We have four superb 1, 2 and 3 bedroom fully self-contained cottages, all individually decorated. With the flexibility in our rooms, we can easily cater for singles, couples, families or larger groups. All prices include fresh linen, hearty breakfast provisions as well as full use of all the facilities here. Free wi-fi internet is available to all cottages. 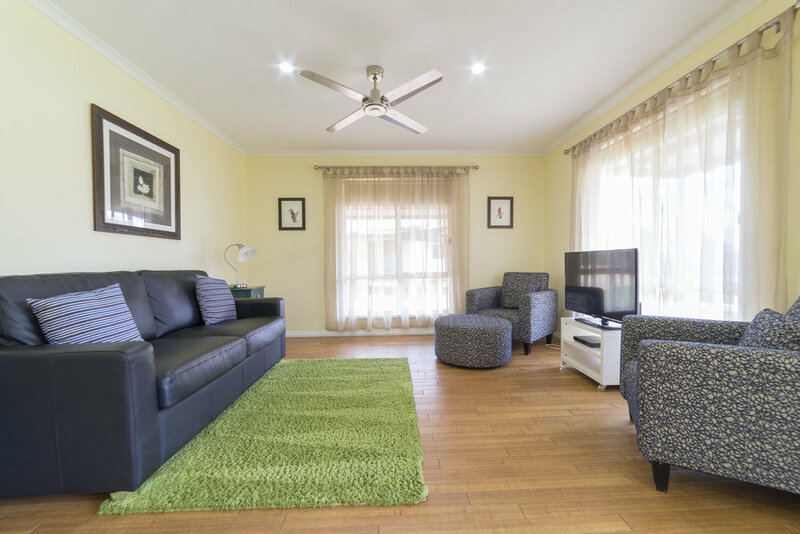 The energetic can take advantage of the on-site facilities such as the golf driving range, the tennis court, solar heated swimming pool and children's playground. 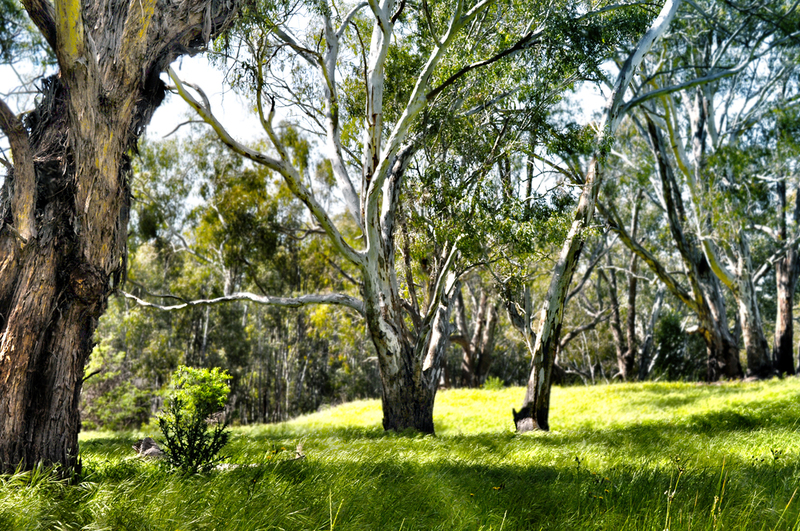 The Murray River is a short walk away through the magnificent red gum forest bordering our property and if you want to bring your bike, then you can make use of numerous tracks through the bush. Our bend of the Murray River is very popular for fishing and water skiing. The less energetic can simply relax in the beautiful gardens and soak up the country atmosphere. All the cottages are fully self-contained and individually decorated. Designed with comfort in mind, they are very generous in size and are extremely well equipped. 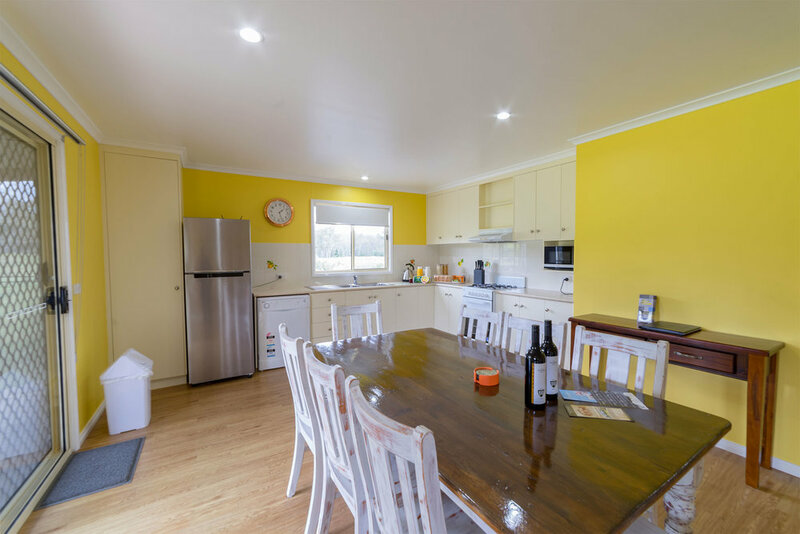 With the versatility in the cottages, we are easily able to accommodate your needs, whether it is for couples, families, groups or singles. Free 'WiFi' Wireless internet is available from all cottages. Choose from two 1 bedroom cottages, each individually decorated and with the same facilities. The two cottages are well set up and perfect for couples, with a Queen sized bed in the separate bedroom. 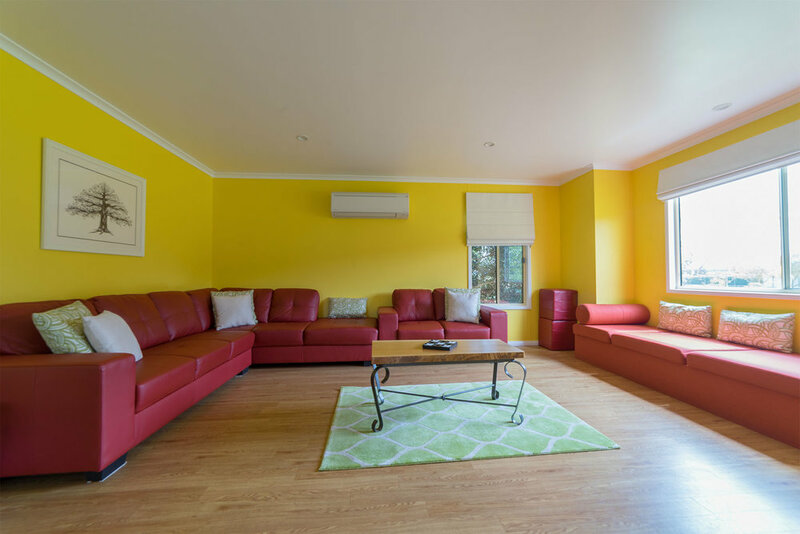 A sofa bed in the living area can be utilized for extra guest(s) or we can set up a single bed. The 2 bedroom cottage gives you that "holiday" feeling as soon as you step in the door. It features two bathrooms for your comfort and is ideal for a family, 2 couples or 4 singles. 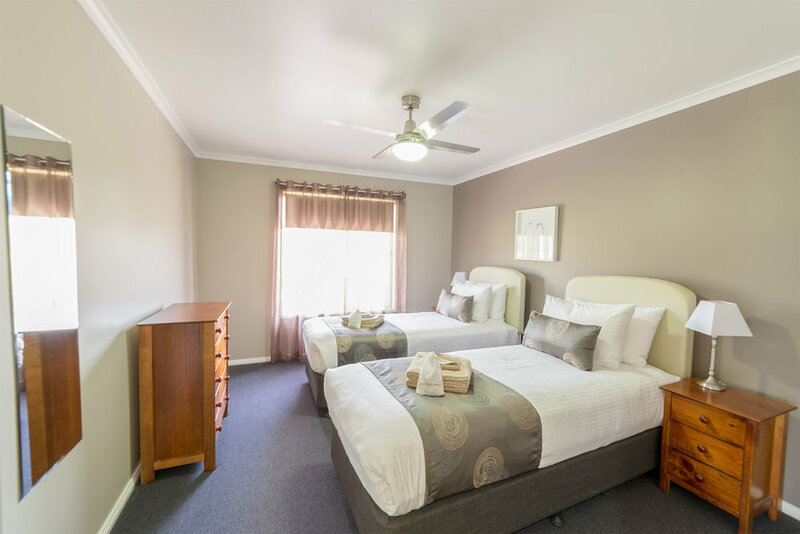 The two bedrooms can be made up with a King sized bed, or 2 single beds and the second bedroom can sleep an additional small child. There is also a sofa bed in the living room. Our three bedroom cottage caters brilliantly for families and groups (with or without other cottages). Featuring a huge living area and kitchen/meals area, it is ideal for entertaining. For warmer months there is a large private paved patio with BBQ and outdoor setting. 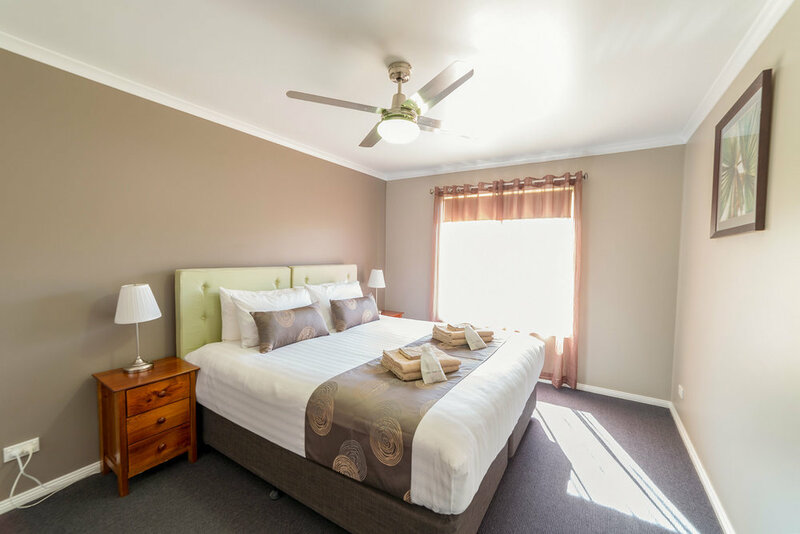 Each bedroom has a King sized bed which can be split to 2 singles. Using sofa beds and fold up beds, it is possible to sleep 10 comfortably. 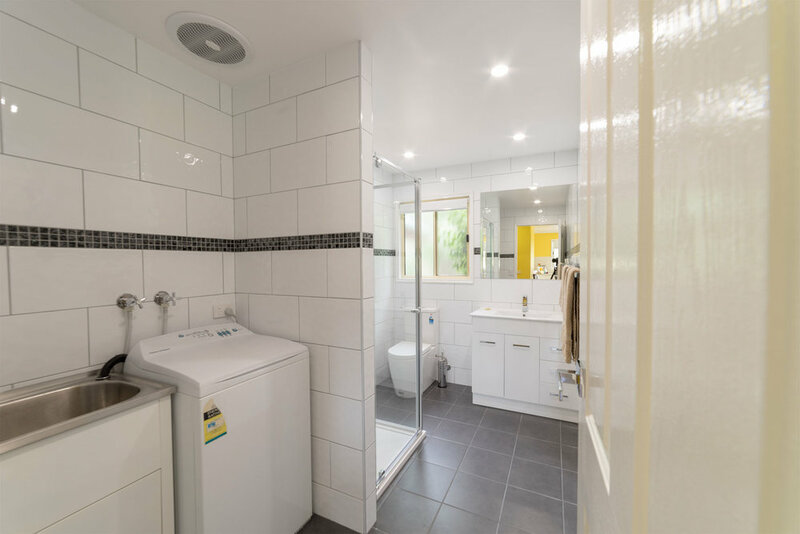 There are 3 bathrooms to give you maximum comfort. 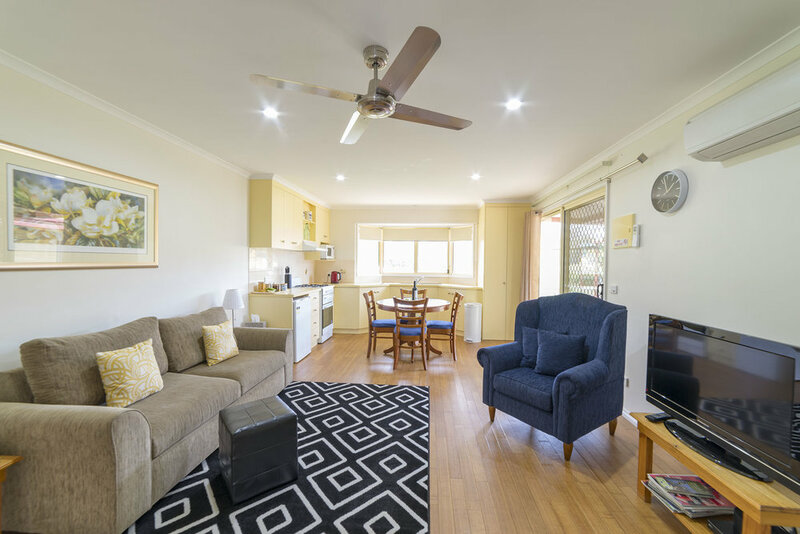 A second living area gives you an extra TV and DVD player as well as another small kitchen. 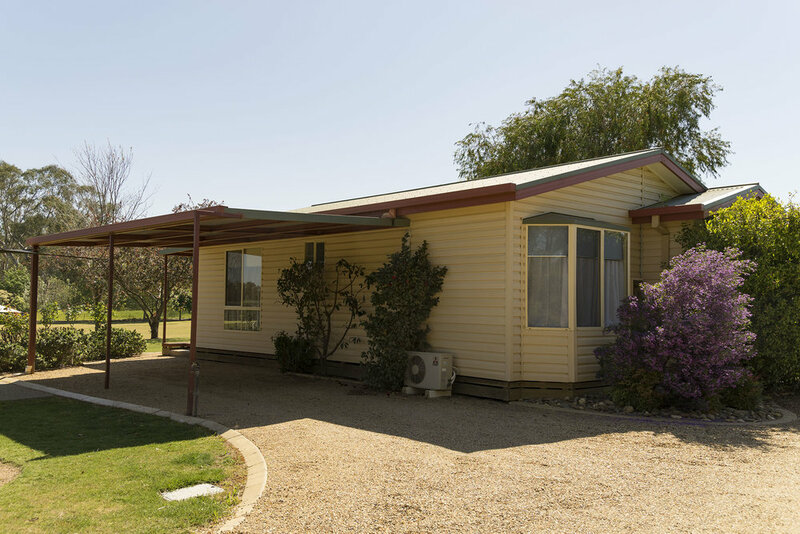 The cottage can be divided in into 2 separate cottages, each with its own carport and entrance. 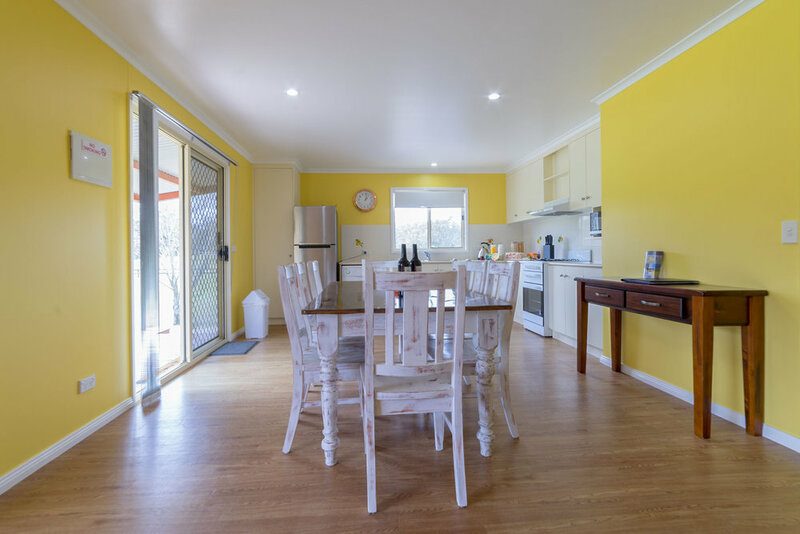 One has 2 bedrooms and 2 bathrooms cottage with the large living/kitchen area, while the other becomes a fully self-contained 1 bedroom, 1 bathroom cottage with its own living/kitchen area. Open it up and use it all, or close it off and use only part. Cool off in our 12 m solar heated, salt water swimming pool or just rest under the palms on one of our lounges. The cottages all look out onto the green and driving range which is there for you to use as much as you like. To protect you from the elements, you can use the undercover hitting bay which has two hitting mats. We have a full sized tennis court that has a concrete practice wall and basketball ring. Lighting means you can play at night. 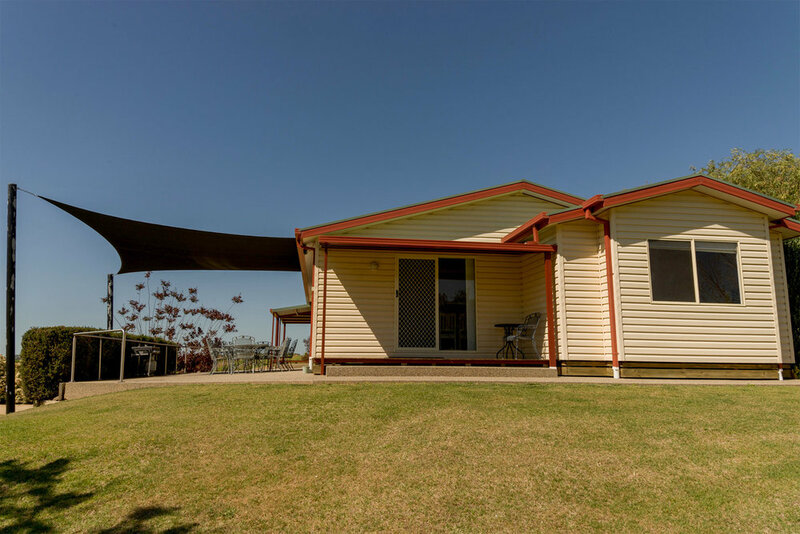 The kids will be kept entertained with our elevated cubby house, sandpit, swings, and trampoline. The tyre swing is very popular with all children. Our spectacular entertaining area has a BBQ, outdoor seating and is shaded by a custom built 5m umbrella. There is also plenty of other outdoor seating throughout the landscaped gardens. 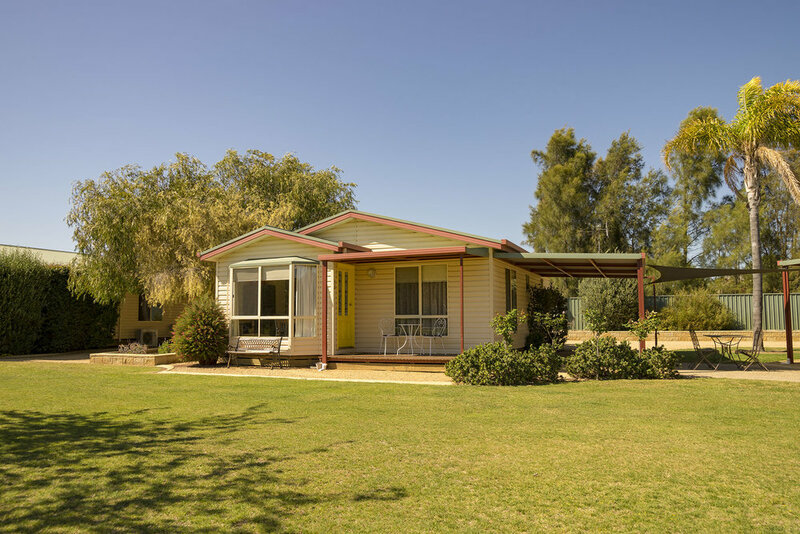 The 3 bedroom cottage has its own private BBQ area overlooking the Murray River redgums with large shade sail. There is an abundance of native wildlife with many species of birds making their home in the trees. 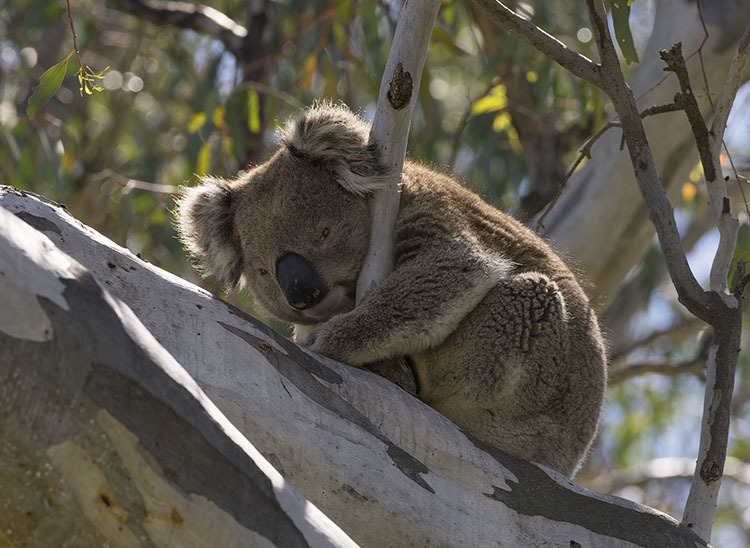 We often have kangaroos visiting and sometimes a koala or two! Copyright © 2017 Tokemata Retreat. All rights Reserved.